It's just about a year now since she passed on her crown to a new queen. And ex-MBGN, Munachi Abii has fully succumbed to the lure of music, while the fashion industry still beckons on her. Unknown to many, before clinching the top prize at the 2007 MBGN pageant, Abii had prepared for a career as a model and rapper. She featured on rapper, Terry Tha Rapman's, debut album (on a track called My PH girl), and collaborated with several collectives in Port Harcourt, including a crew known as Ijaw Boiz Entertainment. And in spite of her success on the runway, and the prospects of an exciting career as a model, the Benson Idahosa University undergraduate has pitched her tent with music; choosing to be a rapper and recording artiste. She handed over her crown as most beautiful girl in Nigeria on March 28, 2008. Usually, beauty queens are supposed to end up on runways, billboards or by the side of some stupendously rich mogul. But, just like Sabina Umeh and Regina Askia, Miss Abii is heading head-on into the unstable world of show business, where she intends to make a career out of recording and performing music. Sources told us she;s presently recording materials for her debut, as well as making guest appearances on some established acts' albums. 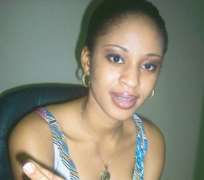 Last year, she featured in the videos for P-square's Ifunnaya fuelling rumors she was dating one of the Okoye brothers. Those close to Muna insist the affair was only a venture to familiarise herself with the workings of the music industry. “I hope my album will be out by the end of this year. I'm working already. But I can't give any details yet,” she told us.